to introduce new players to the sport of Ultimate. to provide a place for all levels of players to play in a competitive, team-oriented atmosphere. Initial cap of 16 teams, 256 total players. 17 players per team; 12 men & 5 women or 11 men & 6 women, depending on registration numbers. Teams play a minimum 5/2 ratio of men to women on the field. If women's registration reaches 96 women, there will be 6 women/11 men per team and 4/3 ratio will be an option. Each team will have 8+ weeknight games, plus a game on Feb. 14 and 1-3 crossovers for a total of at least 10 games. And Saturday playoffs/party! Monday night division: Plays the majority of their games in Mesa, split between Quail Run and Red Mountain. A few games will be scheduled at one of the Tempe locations or Pecos. Tuesday night division: Plays roughly a third of their games at Tempe locations, a third at Pecos, and the remainder at other sites including at least one at Scottsdale Sports Complex. All teams will play a special night at Tempe Sports Complex on Thursday, February 14th in addition to regular games that week. Teams may have a few games on the opposite night. Absolutely not! We teach all new players basic throws as well as the rules and strategies of ultimate throughout the season. As a new player, you will be placed on a team with moderate to experienced players who will show you the ropes and teach you the game. The concept of baggage is designed to introduce brand NEW PLAYERS to the sport by allowing them play on a team with someone they know. You will have the opportunity to list the person you are bagging with on the registration form. (ONE only, please.) Baggage isn't intended to ensure that couples & carpoolers get to play together, but effort will be made to grant these requests. Request approvals will be left to the discretion of the league director. While we try to accommodate preferences, we reserve the right to refuse baggage requests. For 16 teams: Initial player cap 176 men, 80 women. A wait list will be instituted *before* these caps are met to avoid over-filling or if one side of the registration out-paces the other. If registration switches to a wait list, please, still sign up for league. Registration will remain open through Feb. 5th. How much does league cost? The fee for league registration is $50. This includes a jersey, unless registration numbers are very low, in which case teams will play more games and not have shirts. Shirts will likely be A4 Cooling Performance Crew (Men's Specs, Women's Specs). If you have problems using PayPal, please email Katherine at webmaster@vots.org. If you have already completed and submitted a registration form, but still need to complete payment, please, use the button below or on the Confirmation/Pay page. Note: Payment made without filling out the registration form will not count as a registration. As of 2/6/19, 10:54: Registration is closed. But, if you are still interested in playing, fill out the form and add your information to the Wait List. 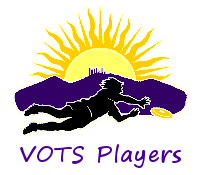 Please, do not pay unless instructed to do so by a VOTS representative. Never Miss Another League Sign-Up! Subscribe to the VOTSplayers group. An invite to join will be sent to you. Check your spam! List is moderated; Yahoo ID is not needed to receive messages. For more information, contact LDs Jeff Budd & Mike Hall.